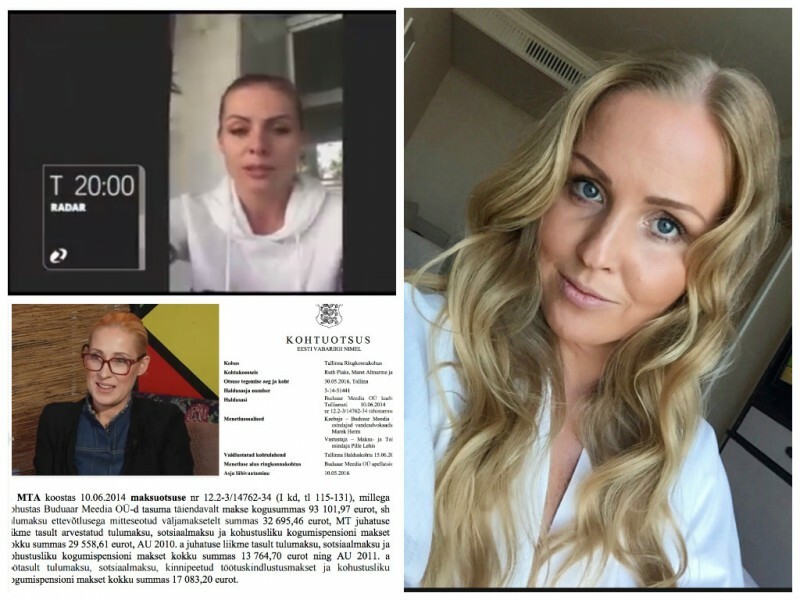 Triin Sommer made an interview with Radar Channel 2 sending his sister in behalf where she said that, Annika Urm and Tene Sommer went to the court of Spain. Radar aired 29/11/2016 Channel 2 in Estonia. Urm Annika does not know anything about this and Urm inquired Tene Sommer for such information, but the answer from Sommer or Lexland Law Office are still missing. Tene Sommer and Annika Urm in the judicial settlement concluded on 11 November 2016, in which Tene Sommer asserts that she does not have any claims related to salary or commission, or car-related issues with Annika Urm nor her affiliated companies. Tene Sommer in a compromise procedure of compensation agreed on receiving 3000 EUR and to give back Annika Urm the business assets and confidential business information. Marge Rahu in a Radar broadcast interview for Estonian television accused Annika Urm trying to alleviate her guilt in the public eye and affect the judge's decision, and tax officials that penalised her. Marge (Peace), judicial decision and EUR 200 000 in tax debt to the Republic of Estonia. Court and criminal investigation lasted three years, which resulted in a conviction, where Marge was to pay 200 000 EUR tax money back. Criminal and civil courts concluded a compromise agreement, Marge Rahu bought Annika Urm Buduaar Meedia OÜ shares, and it was agreed that the demands and grievances to each other do not. Marge Rahu must pay tribute to the state 200,000EUR, which she had seized and concealed. In addition, Marge Rahu had lost the privilege of accounting, which hindered the investigation. Court and police investigators did not find any violations from Annika Urm. Marge Rahu appeared in TV show Radar on Estonian television and lied to the public. Radar aired 29/11/2016 on Channel 2. It also aired Triin and Tene Sommer's testimony. Triin Sommer has always been struggling, as she a person of low morals, and has always depended on men. Triin Sommer, who spoke for Radar stated a pure lie, and no evidence of Annika Urm's involvement has been provided to this imaginary stories. 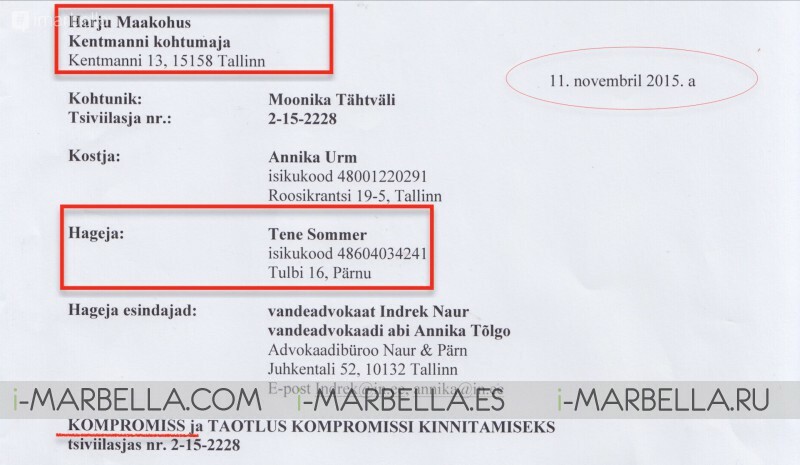 Tene Sommer tried before in Spain to blackmail Estonian Annika Urm for EUR 5000 with the Spanish law firm Lexland. She could not do so since Annika did not respond to blackmail. 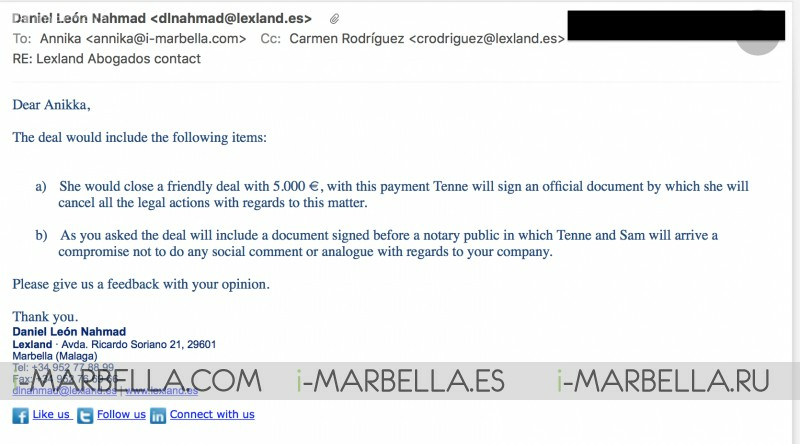 Tene Sommer and her partner Sam Cameron took the opportunity of unjust enrichment and Annika Urm to extort money from the Spanish government. Thus deceive Tene Sommer in the Republic of Estonia and the Kingdom of Spain, hoping to get out of compensation for loss of earnings. However, in this, she confirmed it herself in an Estonian court.